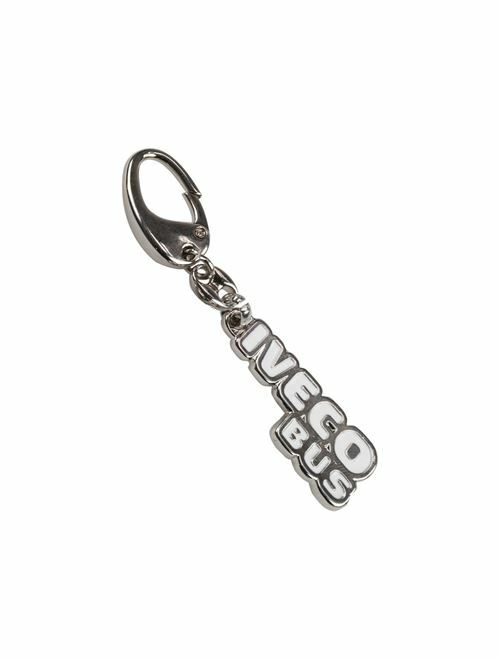 Keyring featuring an attachment loop and oval carabiner. The words Iveco Bus are in relief with the base encased in white enamel and the top in embossed polished silver, the rear is in satin silver. Material: metal with galvanised nickel.